Last year was a great election cycle for Democrats around the nation–but not so much in Florida. They picked up two congressional seats in South Florida and swung few legislative seats across the state. 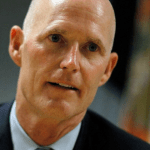 But the GOP held on in the main events– keeping the Governor’s Mansion and defeating U.S. Sen. Bill Nelson, D-Fla., even as Democrat Nikki Fried was elected agriculture commissioner. With 2018 now in the rear view mirror, Florida Democrats will have to look ahead to 2020 and figure out how to get out their message. The answer is probably right in front of them: young people and the Hispanic community. According to the Florida Department of State, the voter turnout in 2018 for younger voters was up by 15 percent compared to 2014. Voters under 30 moved from 22 percent to 37 percent over those four years. Florida counties with large universities saw a larger turnout of college students. In Leon County, home to FSU and FAMU, election offices reported that they saw a 49 percent turnout of voters between 18- to 21. In Alachua County, which contains the University of Florida, voters between 18-21 had a turnout of 46.5 percent. Election analyst say what drove young people to the polls were Democratic gubernatorial candidate Andrew Gillum and gun control following the Parkland school shooting last February. Another key group for Democrats is the Hispanic community. The Hispanic Federation notes by 2020, Puerto Ricans will outnumber Cubans as the largest Hispanic group in Florida. Political experts say with the influx of the growing number of Puerto Ricans moving into Florida following the aftermath of Hurricane Maria, this could help boost the turnout for Democrats. University of South Florida Professor Josh Scacco disagrees with that assessment. “Just because Puerto Ricans are moving to the Sunshine State doesn’t necessarily mean that will translate into automatic election gains from one party to the other,” Scacco said. Scacco might have a point. Last month, Florida’s Bay News 9 reported that Democrats and some political experts predicted that the Puerto Rican community would be a key group in 2018. But Puerto Ricans did not turn out in droves to vote in 2018 even as Republicans like Rick Scott and Democrats like Stephanie Murphy went to bat called for Puerto Rican statehood. WBOB News Director Roger Henderson says that if Florida Democrats could mobilize Puerto Rican voters, then they could win in 2020. “But until that happens, you may see the same positive results for Republicans next year like they had in 2018,” said Henderson.